WARM SEASHELL MASSAGE SPECIAL OFFER! Holistic Therapies aim to help our client restore the body’s natural balance and strengthen the immune system, thus allowing the body to heal itself naturally. Hopi Ear Candles are a classic clearance therapy which can benefit many problems around the ear and head area. 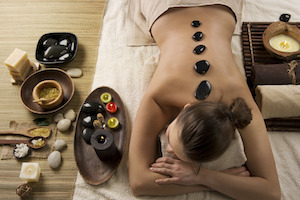 A deeply relaxing & muscle soothing speciality massage using smooth hot stones for deeper penetration. Relieves many ailments & especially good for relieving stress, tension, migraines, insomnia & headaches. A unique foot massage to help release toxins, unblock energy pathways & restore the bodys natural balance. 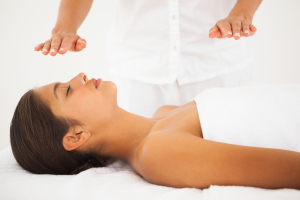 Reiki is a Japanese technique for stress reduction and relaxation which also promotes healing and mental wellbeing. 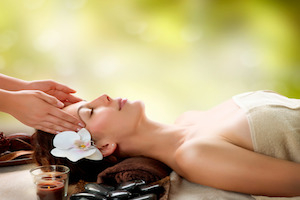 For those who are too sensitive for stretching or acupressure, the Thai herbal massage is an excellent alternative. If you are unsure which type of Holistic Therapy will be most beneficial for you, please feel free to give us a call on 01903 201104 and we will be happy to help you. To book your appointment for any of the above Holistic Treatments in Worthing, call Laroma on 01903 201104 or email us using the form below. Please note bookings are essential. All bookings require a 50% deposit. 36 hours notice is needed to move/cancel appointments. If less than 36 hours notice is given then your deposit cannot be refunded. Self-employed Therapists at Laroma may have their own cancellation policies.